Biomol Ther (Seoul), 2016, 24(5): 489-494.. Procaine HCl purchased from Selleck. Br?u ME, et al. Anesth Analg, 1998, 87(4), 885-889. Hahnenkamp K, et al. Br J Anaesth, 2006, 96(1), 77-87. Wang H, et al. 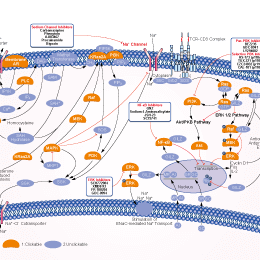 Eur J Pharmacol, 2010, 630(1-3), 29-33. Fan P, et al. Neuropharmacology, 1994, 33(12), 1573-1579. Villar-Garea A, et al. Cancer Res, 2003, 63(16), 4984-4989. Palek J, et al. Blood, 1977, 50(1), 155-164. Adamec RE, et al. Prog Neuropsychopharmacol Biol Psychiatry, 1987, 11(4), 345-364. Kirk IJ, et al. Hippocampus, 1993, 3(4), 517-525. Racine R, et al. Electroencephalogr Clin Neurophysiol, 1975, 38(4), 355-365. Esposito M, et al. J Natl Cancer Inst, 1990, 82(8), 677-684. Ouabain is a selective Na+/K+, -ATPase inhibitor, binds to α2 /α3 subunit with Ki of 41 nM/15 nM. Features:A glycoside poison that binds to and inhibits the action of the Na+/K+ pump in the cell membrane. 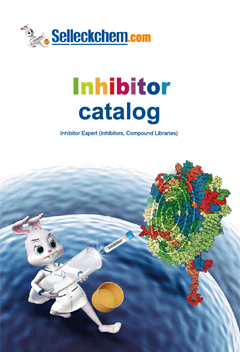 Amiloride is a selective T-type calcium channel blocker, an epithelial sodium channel blocker and a selective inhibitor of urokinase plasminogen activator (uPA)(Ki=7 μM). Digoxin is a classical Na,K-ATPase inhibitor, with selectivity for the α2β3 isoform over the common α1β1 isoform, used in the treatment of atrial fibrillation and heart failure. Rufinamide is a voltage-gated sodium channel blocker, used an anticonvulsant medication. Zonisamide is a voltage-dependent sodium channel and T-type calcium channel blocker, used as an antiepileptic drug. Bupivacaine HCl binds to the intracellular portion of voltage-gated sodium channels and blocks sodium influx into nerve cells, used for treating cardiac arrhythmias.